Why not also make some of these amazing DIY Superhero Costumes. I love this set of marvel Avengers cookie cutter set. It has 4 of the more famous avengers including Captain America, Iron Man, Hulk and Spider Man. Well, spider man is technically not an avenger yet but he will be in the upcoming Captain America 3 movie. The best way to use them is during a kids birthday party where you can let the kids have fun playing with the dough and the cookie cutters. To get the face to come out correctly, you need the right thickness in your dough. The exact thickness is mentioned in the recipe book included in the set so make sure you follow that. The details on the cookies will be amazing. Buy them now and your kids will love you for them. 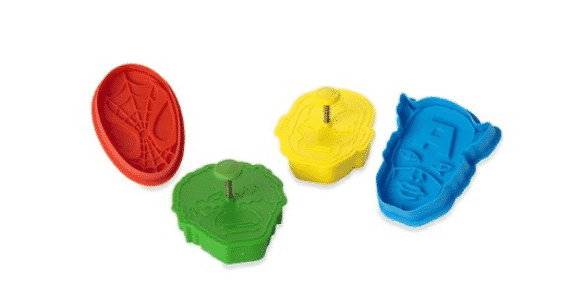 If you have just a spider man fan, you can get this spider man cookie cutter set which featured only spidey and nobody else. Unlike the previous Avengers cookie cutter set, this set will make your cookies look like actual comic books, rather than the heads of the superhero characters. 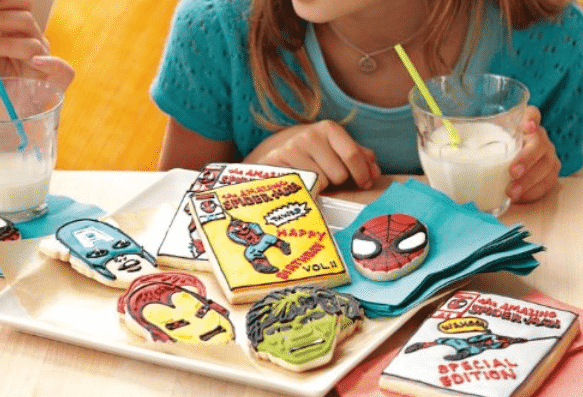 It is an rather interesting way to present your cookies but if your kids love comic books, they will have love these spider man cookie cutter set. Arugably one of the most well known superhero around, kids will love to make cookies that have the Superman logo. 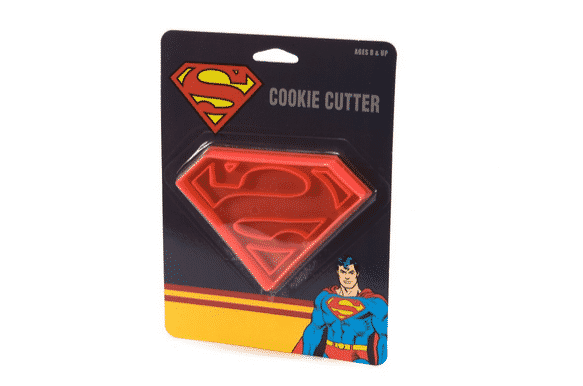 This is the only Superman cookie cutter I can find on Amazon. Unfortunately, there was some negative reviews about the dough sticking to the cutter and making it difficult to take out the cookies. Doing the above 3 steps should help to prevent the dough from sticking to the cutter. The Green Lantern movie might be a flop but that doesn’t mean kids will stop loving this character. 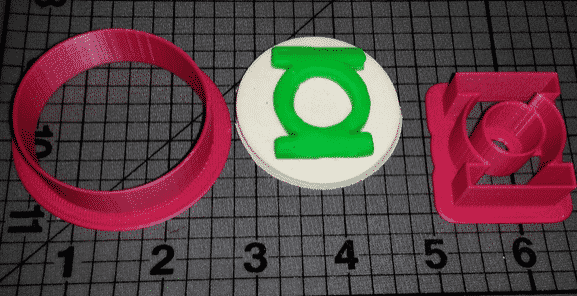 This cookie cutter item allows the kid to create this very own Green Lantern ring cookie. I am sure they will love to have this ring cookie if they are a big Green Lantern fan. Since we are on the topic of the Green Lantern ring, might as well recite the Green Lantern oath. As promised, here is a listing baking resources and tutorials that will help you create those superhero cookie recipes. They can be used in kids birthday parties or simply a weekend treat. If you have any more such recipes, please share them in the comments as I am sure other readers will appreciate them. One of my favorite superhero cookie recipe tutorial. The steps are laid out clearly and the results speak for themselves. The smart thing about doing these cookies is to go for the simple but well recognized symbols of the superheroes, rather than trying to recreate their faces. (For that, you can buy those Avenger cookie cutter set). This youtube video walks you, in detail, how to create these wonderful superhero cookies on a stick. Characters featured include Captain America, Batman and Spiderman. 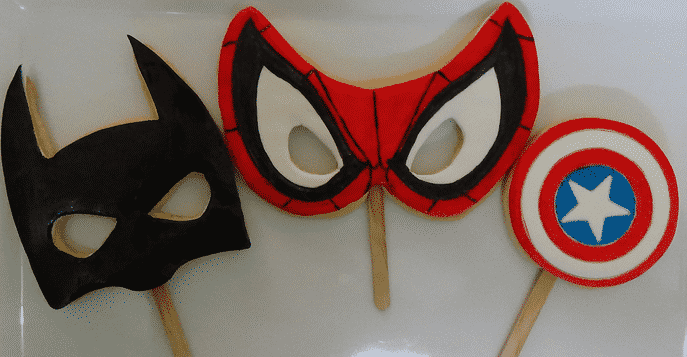 Using the masks as the cookie shape is a brilliant idea and one that you should copy for your kid during his or her birthday party. 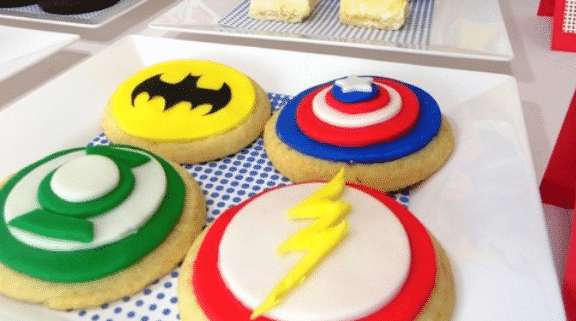 Another lovely blog post teaching you how to make superhero cookies. 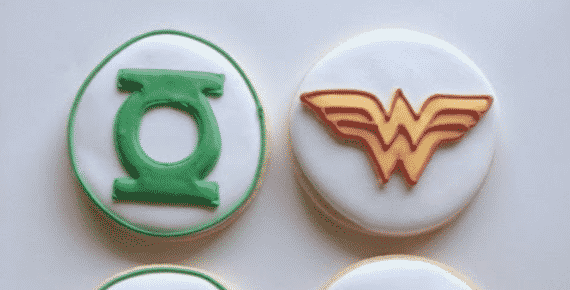 The best part is how she laid the process on creating those Wonder Woman or Green Lantern symbols you see on these cookies. 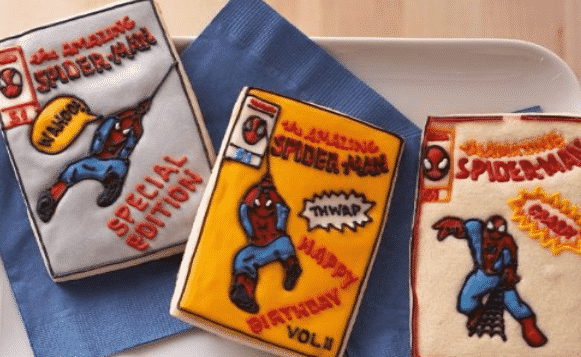 The details she went into is amazing and I encourage you to visit her blog if you are serious about making some good looking superhero cookies. This is not a cookie recipe but is something I am sure your kids will enjoy as well. 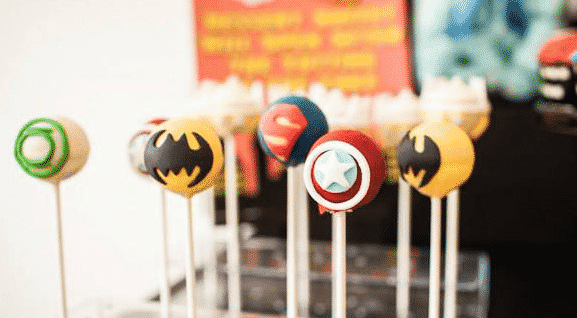 These are called cake pops and the video tutorial will show how to make superhero cake pops that can rival the best tasting cookies.